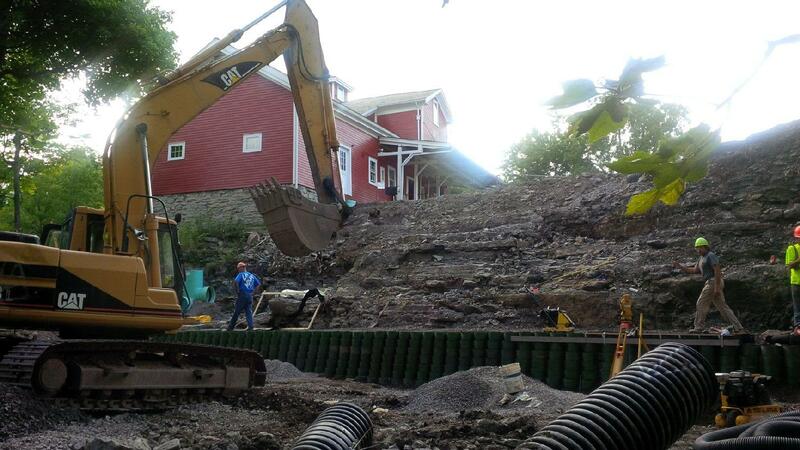 The project is located in the Heart of the Village of Williamsville, adjacent to Glen Falls Park and Ellicott Creek. 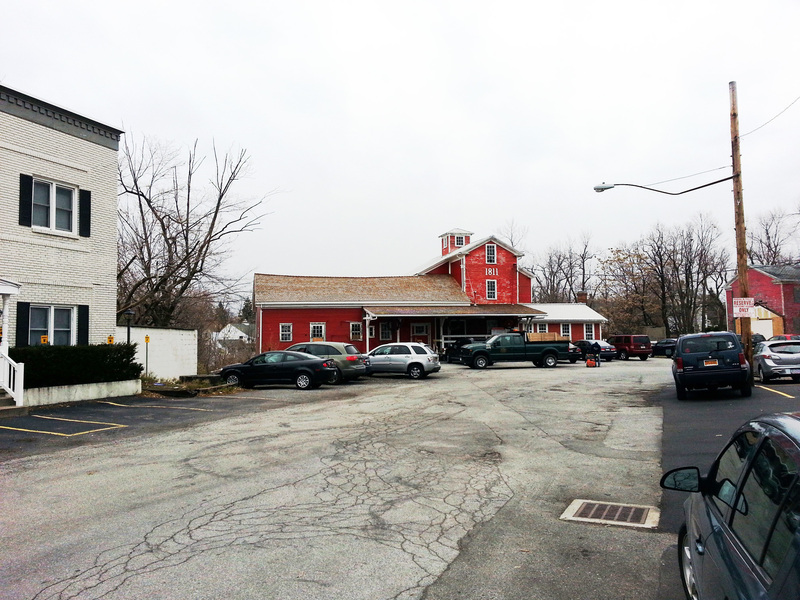 The story of Village of Williamsville cannot be properly told without including mention of Ellicott Creek and the Mill. 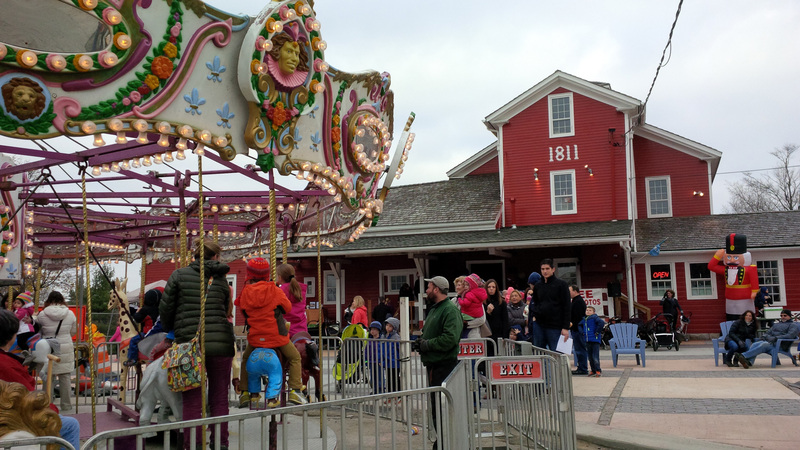 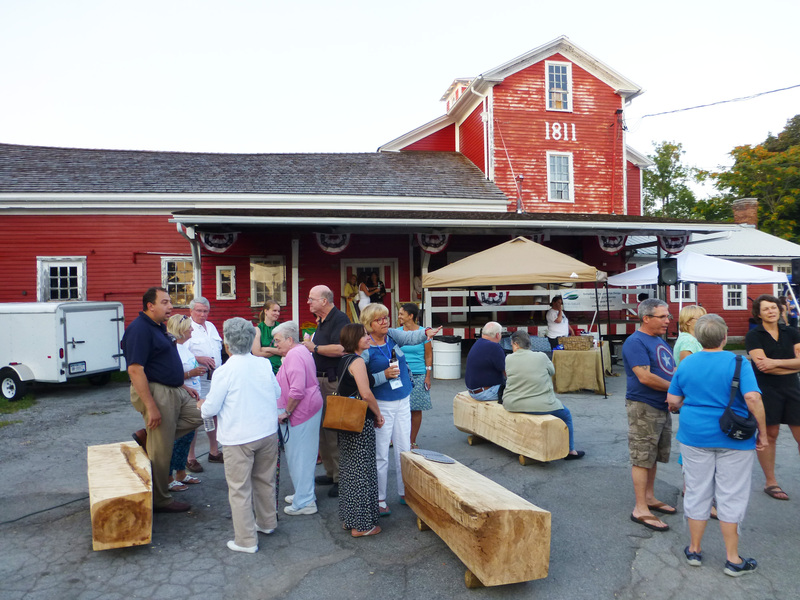 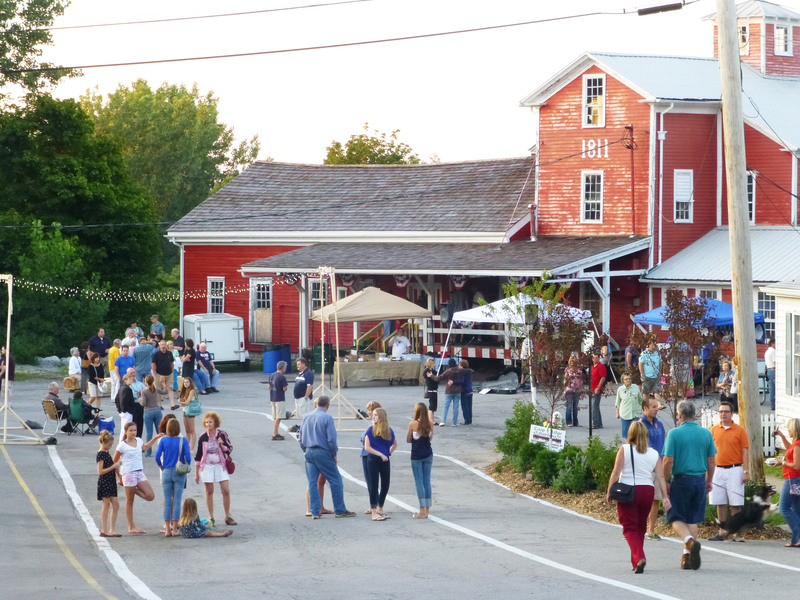 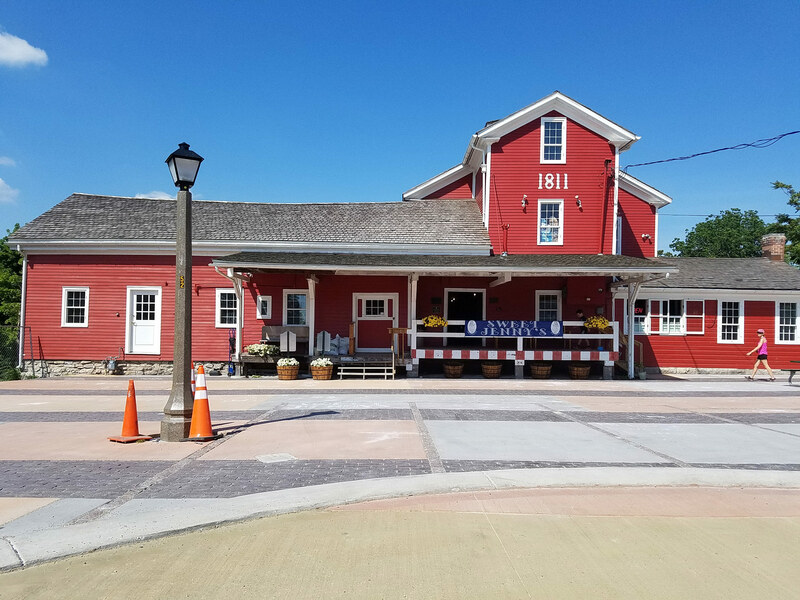 In 1811 the Mill became the center of industry for the Village of Williamsville, and 200 years later the Mill is once again at the heart of the Village’s story. 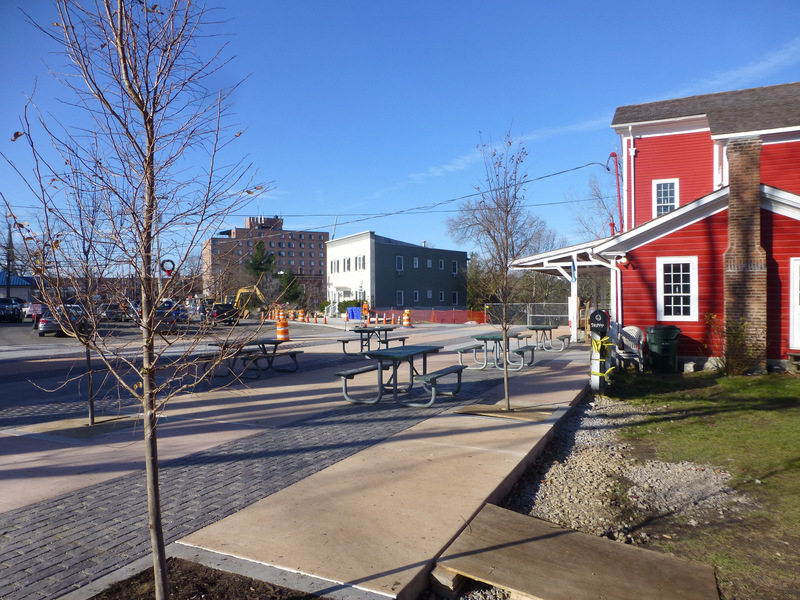 After decades of neglect, this historic industrial area along East Spring Street has become a much beloved Village Center through economic redevelopment and green infrastructure. 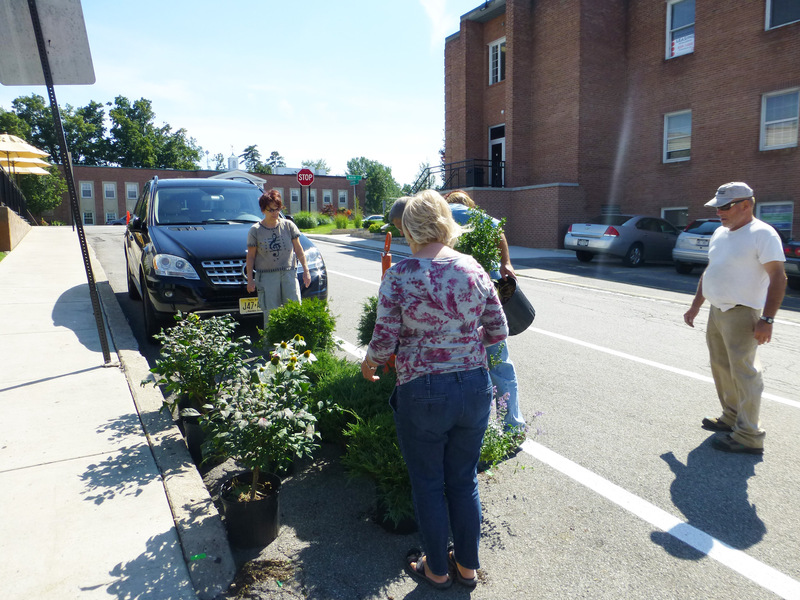 The introduction of green infrastructure allows East Spring Street to have a pedestrian focus for the first time ever. 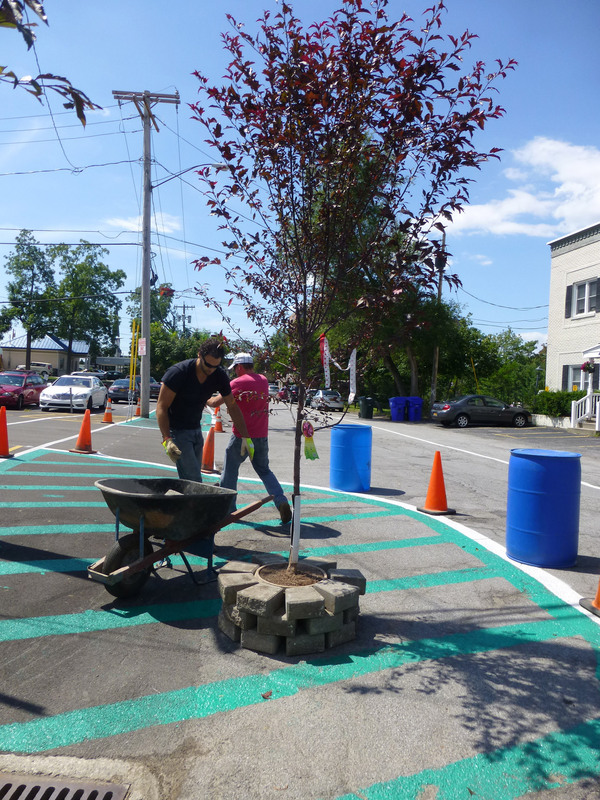 Greenspaces between public and private properties, permeable sidewalks / parking lanes, and large shade trees planted in engineered soils all work together to capture and filter stormwater. 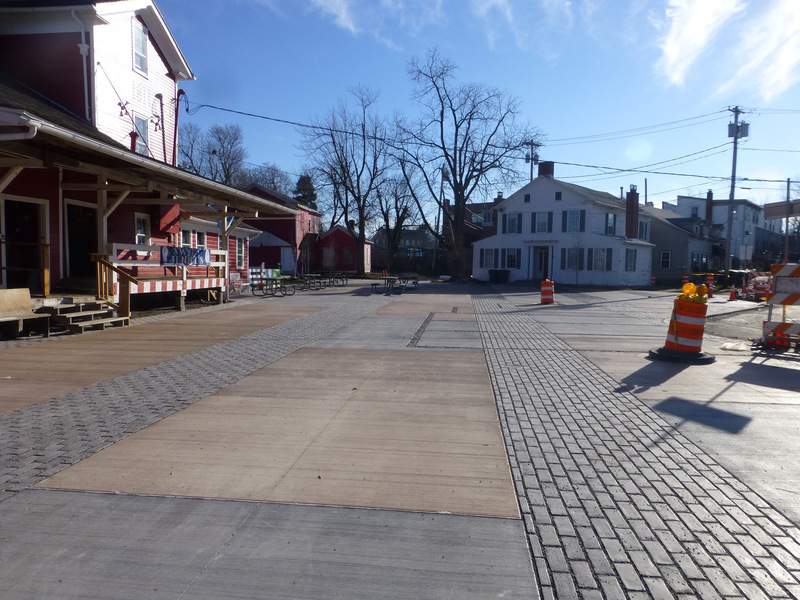 These GI interventions help strengthen the visual connection to the adjacent Glen Falls Park as well as create an inviting plaza suitable for everyday retail and weekend farmer’s market / seasonal festival use. 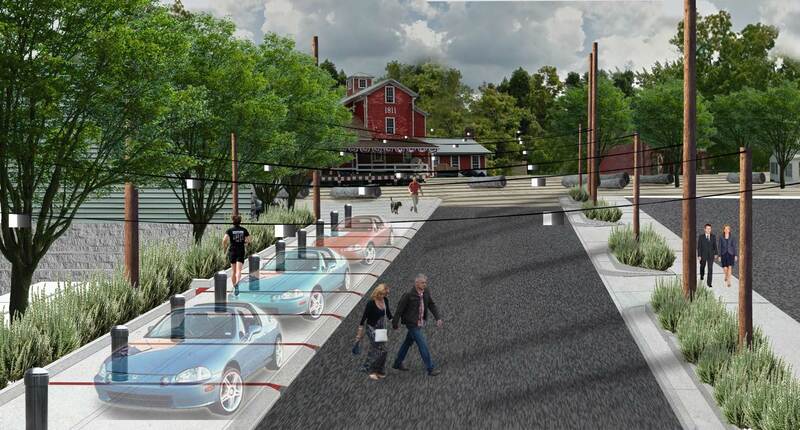 The space now balances people and automobiles while celebrating Williamsville’s original industrial center. 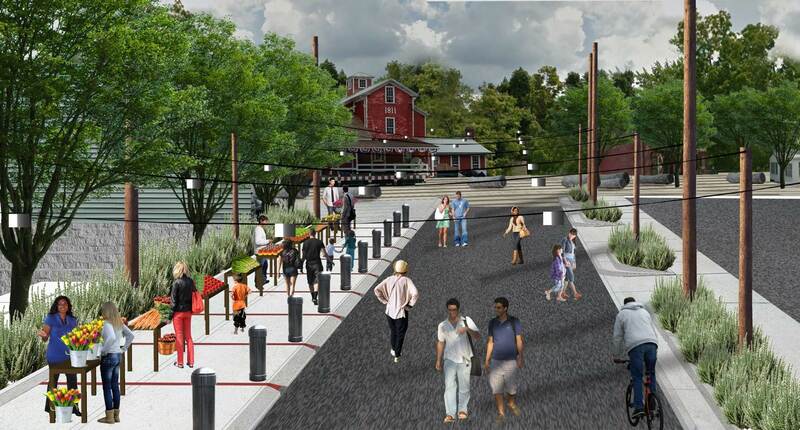 Because the project area had languished for decades, it was important that the community be part of creating a new Vision for the Mill and East Spring Street. 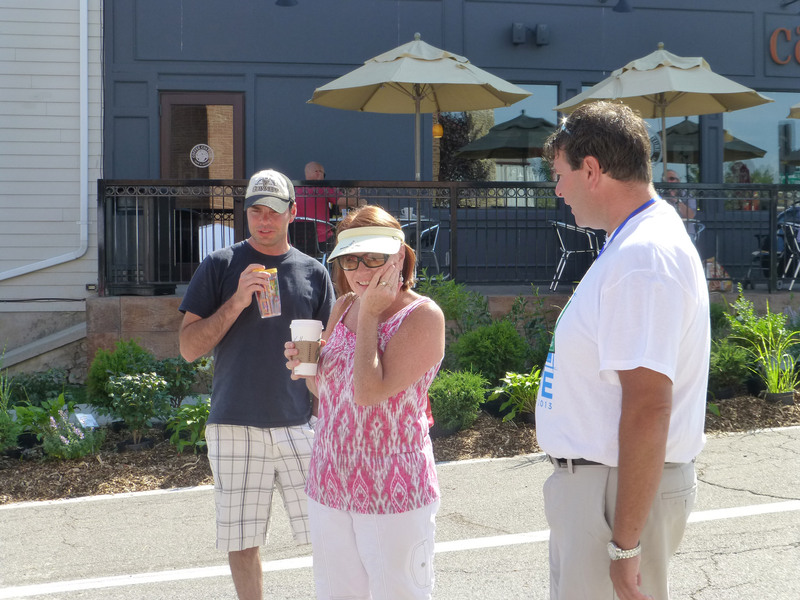 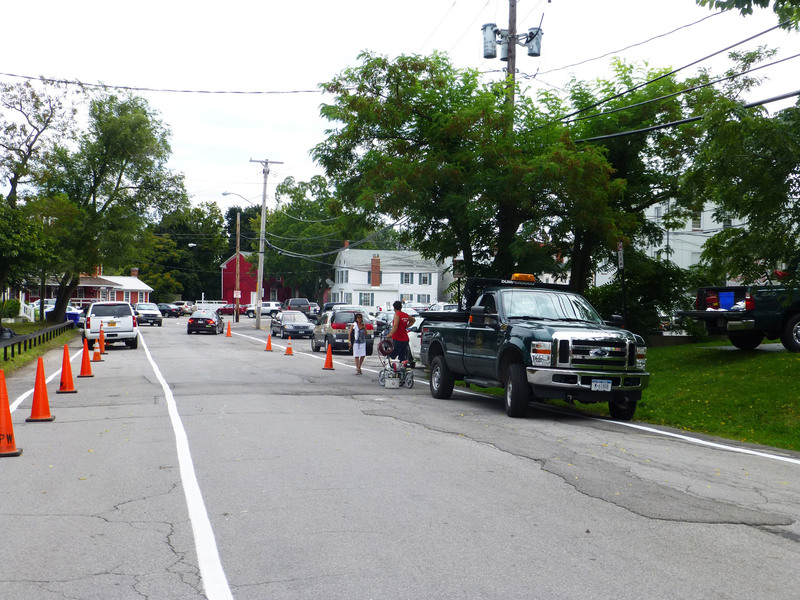 After some discussion, JKLA and Village leadership created a new temporary streetscape design which became the focal point of a weeklong festival that allowed residents and visitors to “try a new design on for size”. 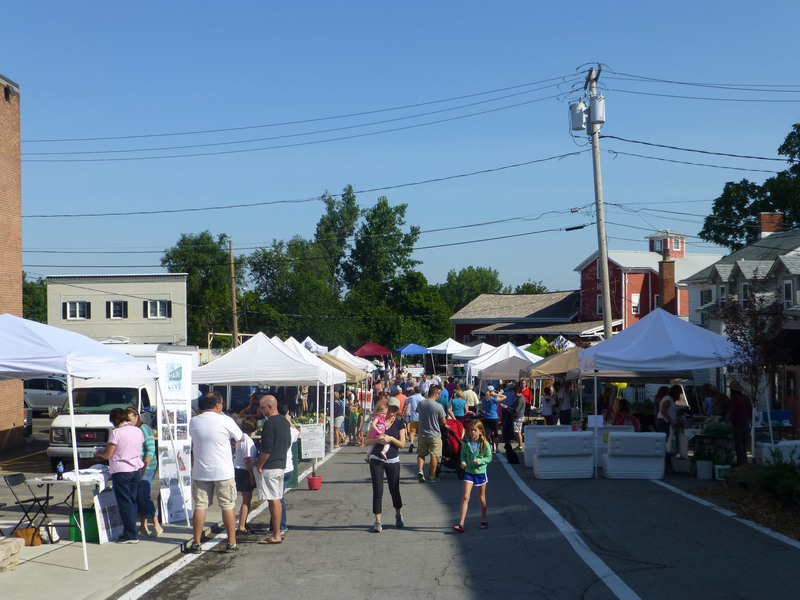 Over the course of this festival the automobile dominated street and parking lots were transformed into a pedestrian friendly streetscape and plaza replete with opportunities for the community to engage and respond to the new design before it was even constructed. 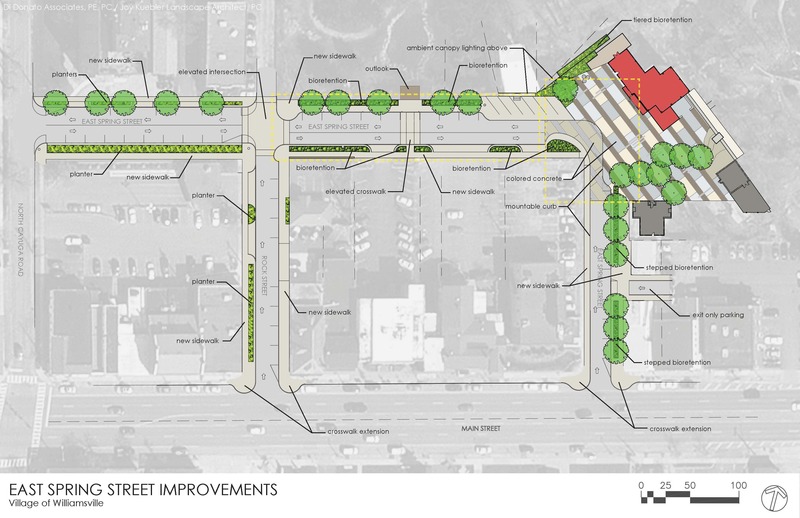 As the design moved forward JKLA found the site’s greatest liability, stormwater run-off, to be its strongest opportunity for redevelopment. 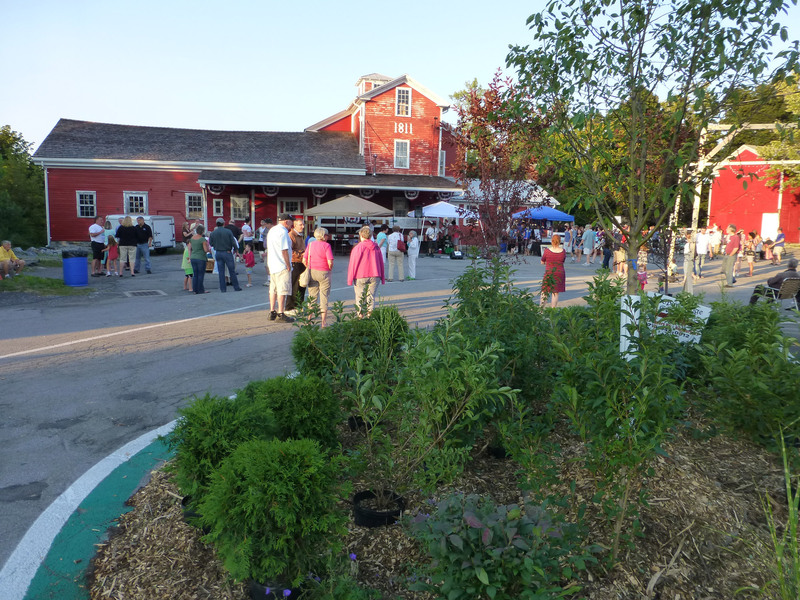 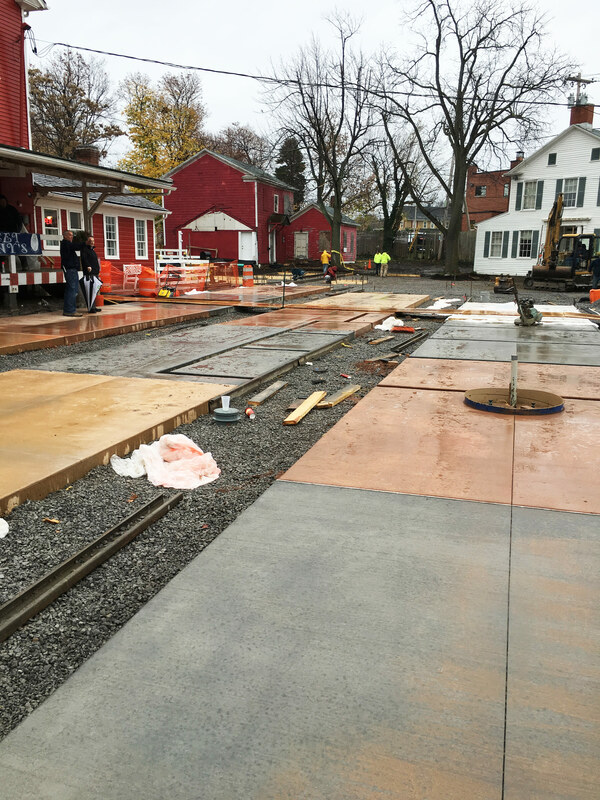 Through NYS Environmental Facilities Corporation and NYS Department of Environmental Conservation, green infrastructure became the driving force behind bringing the community’s vision of “a pedestrian focused Village Center at the historic Mill” to life. 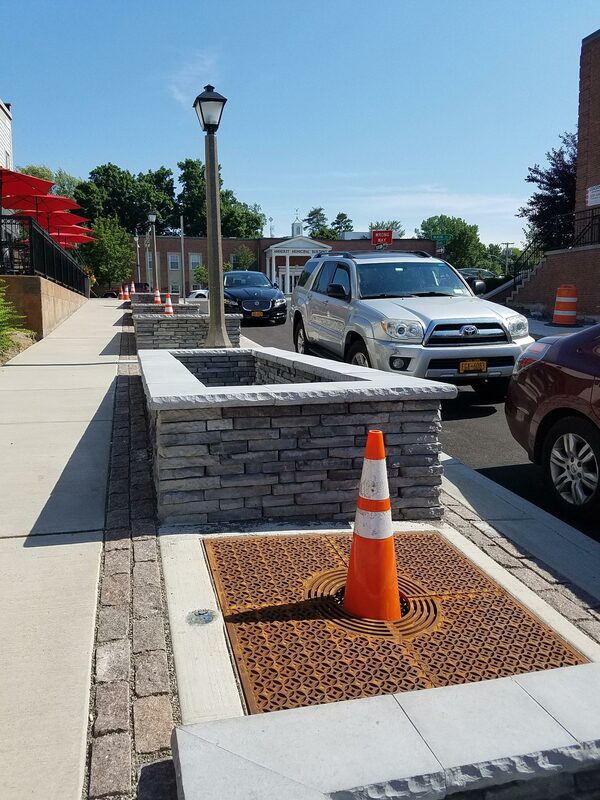 The project received nearly $3 million in funding to capture and filter stormwater run-off through sidewalk planters and permeable pavers installed on the new pedestrian plaza at the Mill. 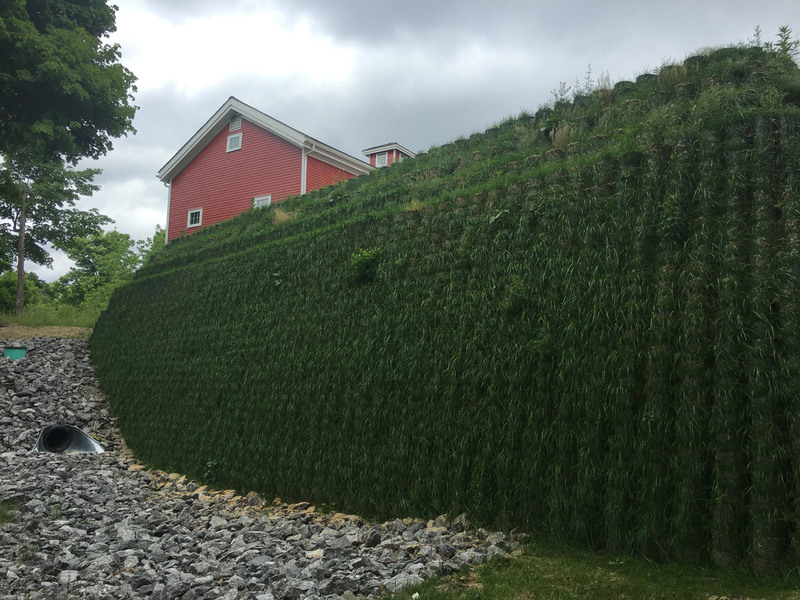 In addition, the design goals include the elimination of erosion and sedimentation though the innovative use of a living wall system to both stabilize the escarpment and filter stormwater.